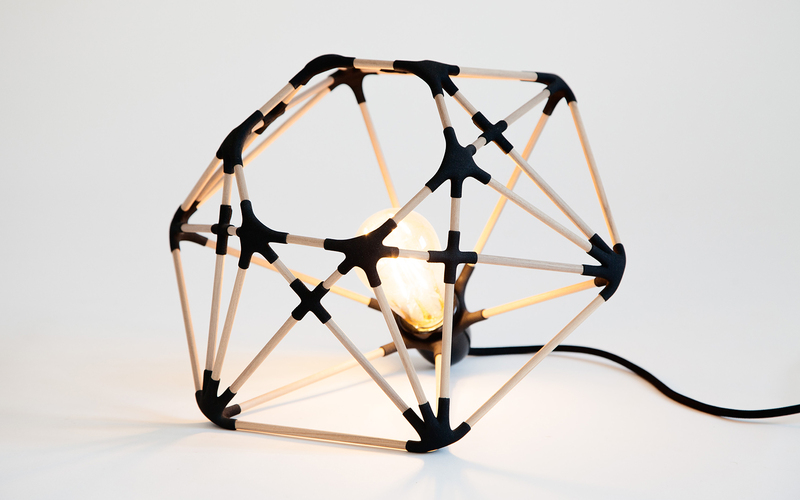 This gem shaped lamp combines the passion for model making with 3D printing technologies. 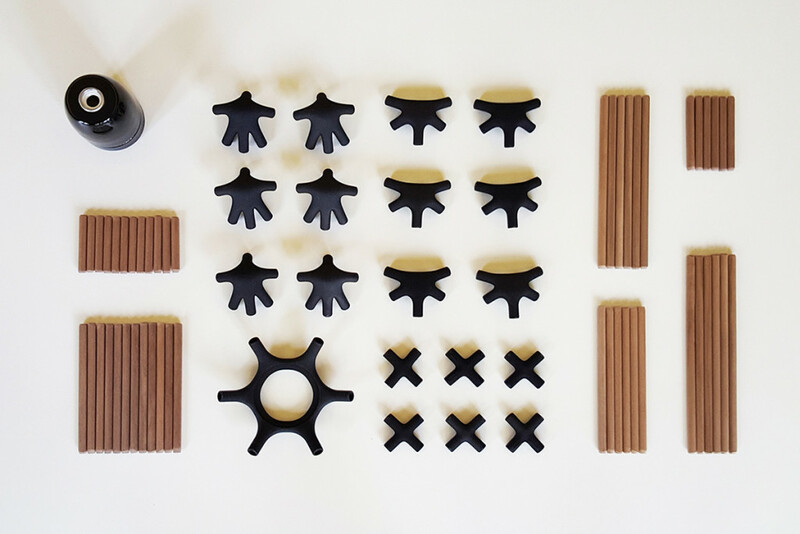 Standard wooden sticks, easily found in DIY stores, are connected together by 3D printed joints. 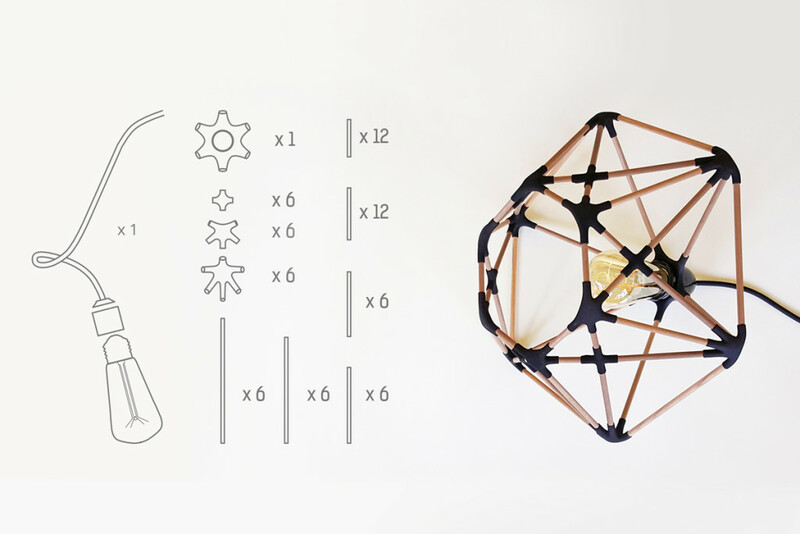 This is a 3D puzzle turning into an amazing design object. 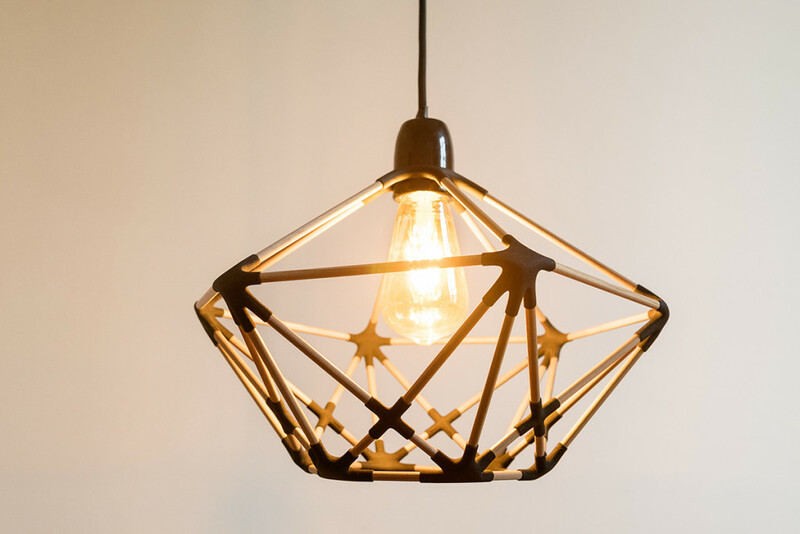 ICOSA can be a floor, table or ceiling lamp. Its clear, see-through structure will enhance every interior. 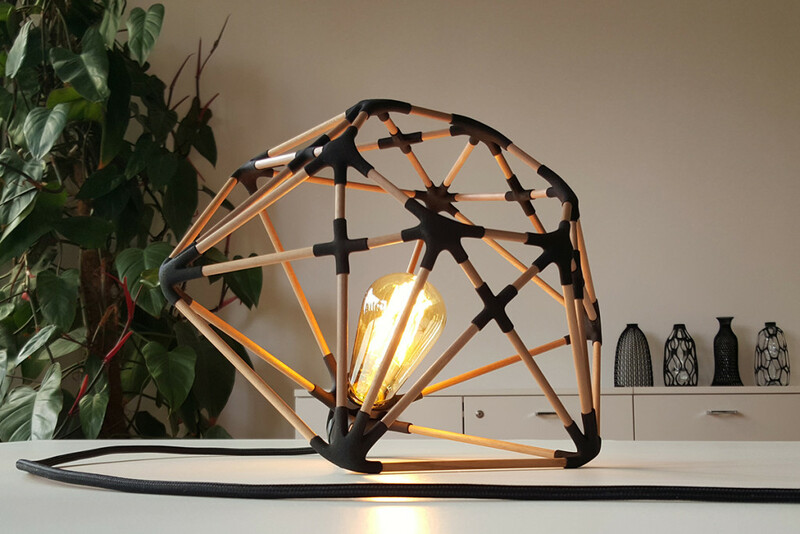 The lamp is a part of the collection, called: DESIGN 3.0 / Hybrid Production that experiments new forms of hybrid production where designers become the producers of their ideas, bypassing traditional production and distribution systems.